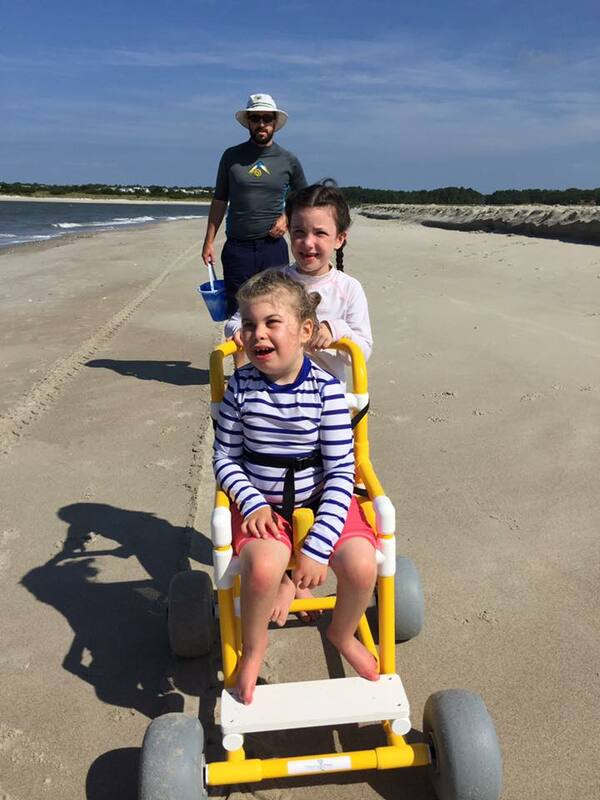 Stepping Stones for Stella is a 501(c)(3) nonprofit organization whose mission is to provide Buggies to children with disabilities to ensure they and their families experience the joy and freedom of the great outdoors to its fullest. Since 2013, SSFS has donated over 500 buggies to families with children with disabilities and we have raised over $350,000. WALK/RUN FOR A CAUSE: PLEASE SIGN UP ON OUR FACEBOOK PAGE!!! Join us on Sunday June 16th 2019 for the fourth annual Freedom Run/Walk starting at 9:00am to raise money to help us build buggies for those in need. The race will take place at Temple Emanu-El, 393 Atlantic Avenue in Marblehead, Massachusetts. Runners and walkers of all abilities are welcome to participate in a 5k race or a one mile untimed walk. Hats will be given to the first 100 people registered. Registration fees are $25.00 per individual (plus processing fees). These sturdy, light-weight, all-terrain Buggies allow easy access to all types of outdoor environments that may require moving across sand, gravel, dirt, grass and even snow. This product is equipped withWheelEEZ® Balloon Wheels. The wheels give the Buggy extra stability that resists tipping and handles corners exceptionally well. The Buggy fits in most standard SUV’s. Because its components are made of PVC pipe material, rubber and stainless steel, it can also get wet if you wish to splash along the beach front, but only when assisted with an adult. 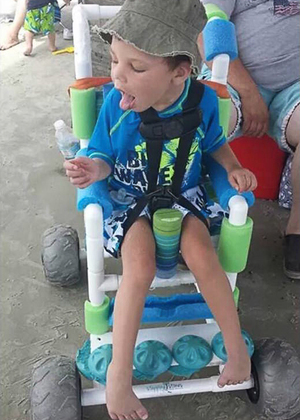 The Buggy can be customized to your child’s needs. It has extra support on its sides for growth or a pivot to keep the child’s legs from adducting. Buggy should only be used by children who have independent, unsupported trunk and head control. In order to receive a Buggy, we ask that you complete an application that has a series of questions about your child’s individual needs. This form will act as a guide for us to build your child a Buggy as well as ensure that your child has been given approval to use the Buggy by his/her physical therapist. Once we receive your application, our team will evaluate your situation and determine if we are able to accommodate your request for a Buggy. Our program is growing rapidly, and sometimes meeting everyone’s needs is a challenge due to the resource issues one might expect a non-profit organization to manage. This program is supported mainly through financial donations made to the Stepping Stones for Stella organization by its many supporters. 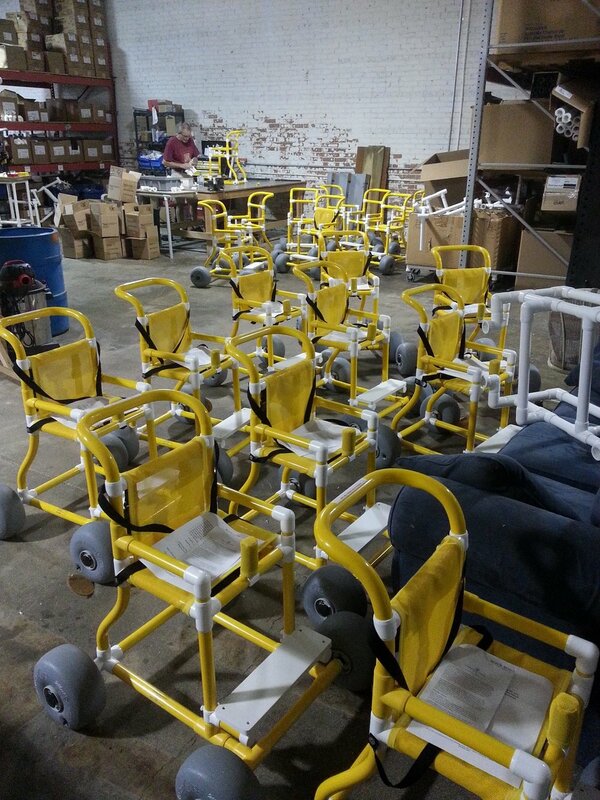 We also appreciate donations from any source, including Buggy recipients, if financially able. Lack of the ability to make a donation does not alter eligibility to receive a Buggy. Physical needs are our only criteria. 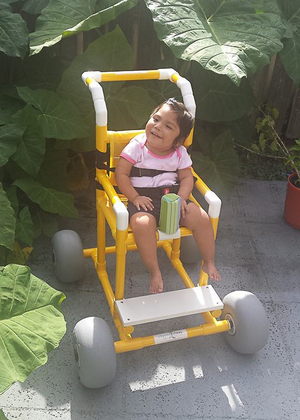 The cost of a fully adapted Buggy is nearly $550 depending on its size, add-on components and shipping requirements. We request donations of any amount to help offset even a portion of our costs. Once your child has outgrown their Buggy, we ask that you return it in good, working condition to Stepping Stones for Stella so that we can offer it to another family in need. Stepping Stones for Stella will cover the cost, if necessary, for the Buggy to be shipped back to us. Fill out the form below and we will contact you as soon as possible to begin the process. We know how timely your child's well being is, and we want to be there for you every step of the way. Join us on Sunday June 16, 2019 at 9:00am to raise money to help us build buggies for those in need. The race will take place at Temple Emanu-El, 393 Atlantic Avenue in Marblehead, Massachusetts. Runners and walkers of all abilities are welcome to participate in a 5k race or a one mile untimed walk. Shirts will be given to the first 100 people registered. Registration fees are $25.00 per individual (plus processing fees). Click here to sign up today! Please don't hesitate to reach out to us with any questions you may have by emailing us at steppingstonesforstella@gmail.com. We look forward to hearing from you!